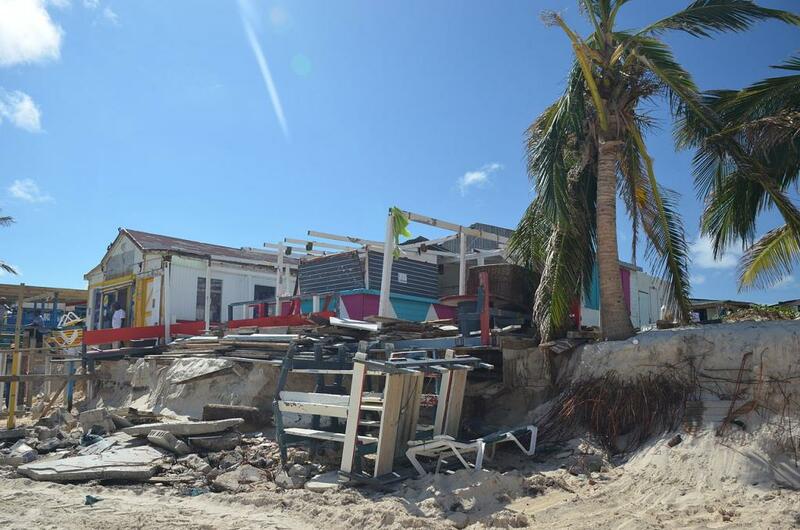 Just after Hurricane Harvey left behind a trail of destruction in southern state of Texas, the US and the Caribbean islands are now faced with, in what seems to be an ever bigger challenge—Hurricane Irma. For the Caribbean nations, it is bringing back the memories of Hurricane Matthew that killed more than 500 people in Haiti in 2016. 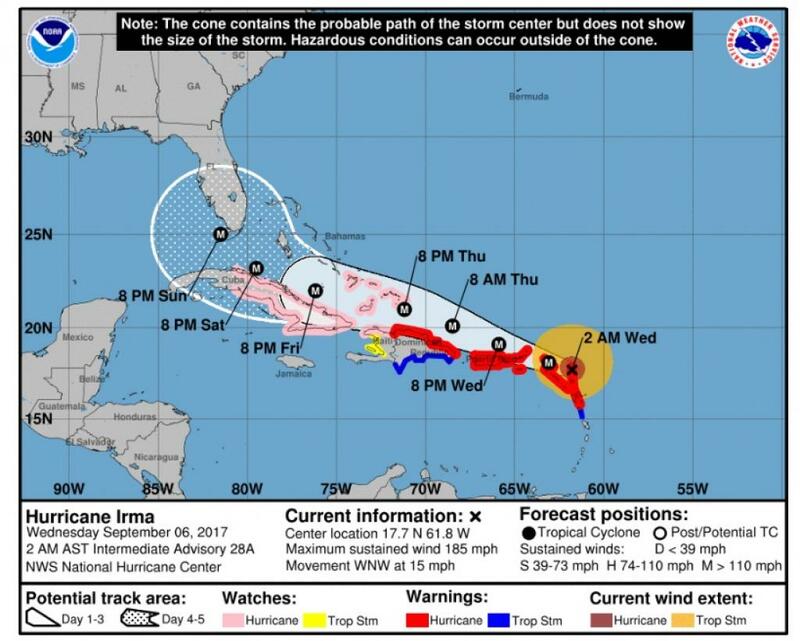 The beginning of September is considered the peak hurricane season in the region, but the landfall of Hurricane Irma is already expected to be the worst in the history of Atlantic hurricanes. Irma has become a Category 5 hurricane with sustained winds of 185 miles per hour. Only Hurricane Allen, which reached 190 mph in 1980 before hitting Texas, had reached a higher wind speed. The eye of Hurricane Irma passed over Barbuda at around 4.47am GMT today (Wednesday). Heavy rain and winds have affected the neighbouring island of Antigua. Category 5 storms are a mix of floods from storm surge, heavy rainfall and damaging winds. They can completely destroy homes, disrupt power utilities for months and uproot trees. Irma is now on a course to hit several Caribbean islands, including Puerto Rico. The US and British Virgin Islands and St Kitts are some of the other islands located in the storm’s path. The hurricane may affect Cuba, the Dominican Republic, Haiti and the Southeastern Bahamas. US President Donald Trump has declared Hurricane Irma emergencies in Florida, which is likely to be hit by the hurricane later this week and this weekend. Irma is forecast to remain a powerful Category 4 or 5 hurricane during the next couple of days.